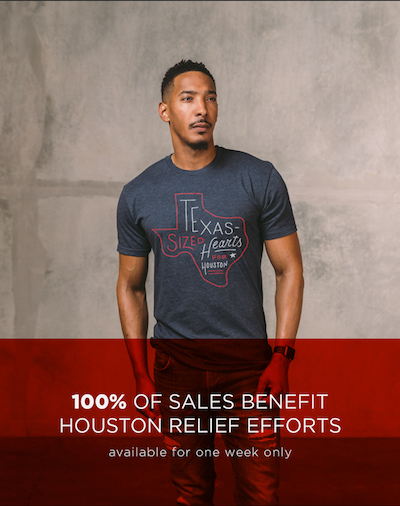 Movement Mortgage is now accepting orders for a custom-made #heartsforhouston T-shirt that will raise money for Hurricane Harvey relief efforts. 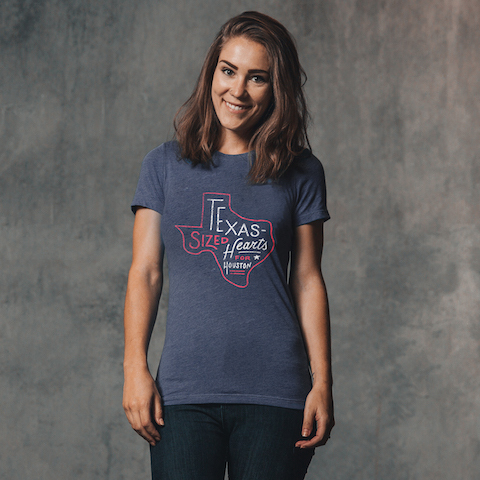 The shirt, emblazoned with an outline of Texas and the words, “Texas-Sized Hearts for Houston,” costs $20, all of which goes to Houston relief efforts. The sale ends Sept. 8. The Movement Foundation is underwriting the cost of the shirts so the full $20 goes directly to disaster relief. Movement CEO Casey Crawford says the shirt is Movement’s way of showing solidarity with those affected by the storm. Movement has 154 employees in Texas and 17 in Houston. All employees have reported that they are safe, however several of them had to be evacuated from their homes and others experienced property damage. Movement is meeting the needs of its employees through Love Works, an internal employee-driven program that provides assistance to team members dealing with financial hardships. After making landfall in Texas last weekend, Harvey, the biggest rainstorm in U.S. history, battered the Lone Star State with torrential rain and historic flooding. The devastation has displaced thousands of residents, and the death toll has climbed to nearly 40. The slow-moving storm, which began as a Category 4 hurricane before turning into a tropical storm, made landfall again Wednesday. Houston, the fourth-largest city in the U.S., has been among the hardest hit areas. Mandie Spear, a Movement graphic designer who created the shirt’s design, said she wanted to convey that Movement is actively seeking to help Houston, not just sympathizing from a distance.